There are many types of stationery which offer utility value that is multipurpose. Such stationery is present all around us and we seek them during all important timings. We look at such stationery for deciding our appointments and remembering important occasions we cannot afford to forget. 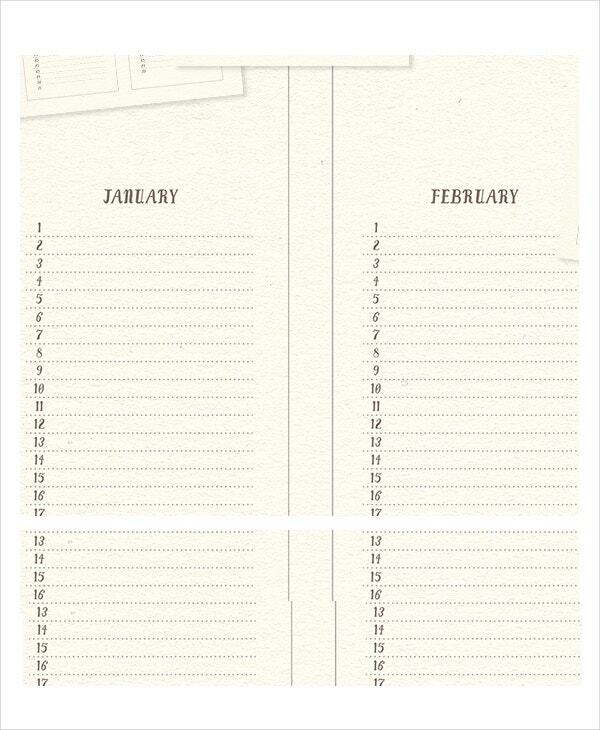 One such stationery that plays a crucial role in our life are the calendars. 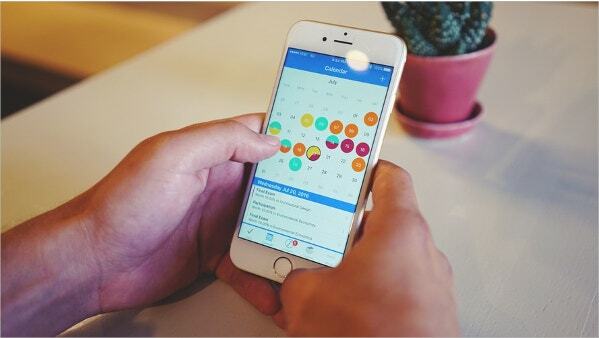 Sometimes, they act as Schedule Templates too to plan our appointments or calls. 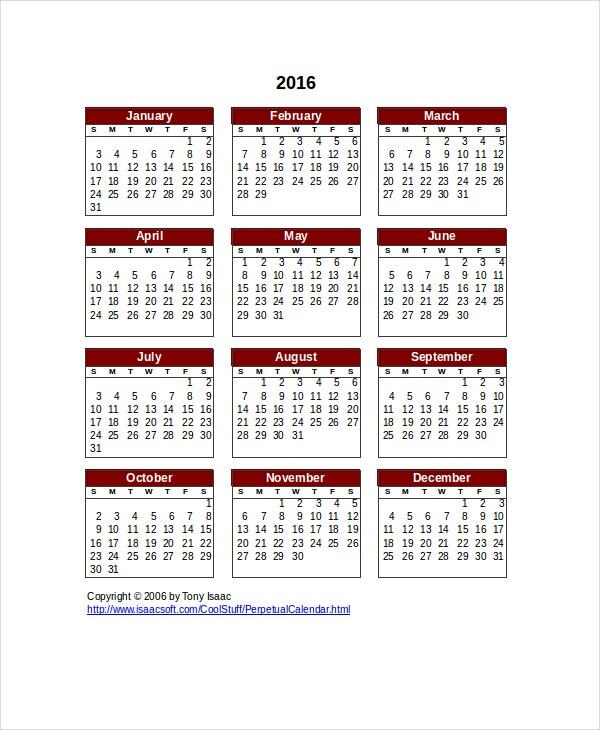 Perpetual Birthday calendars which usually have validity for many years, help in the calculation of date and day for many future years. They are useful for many years. 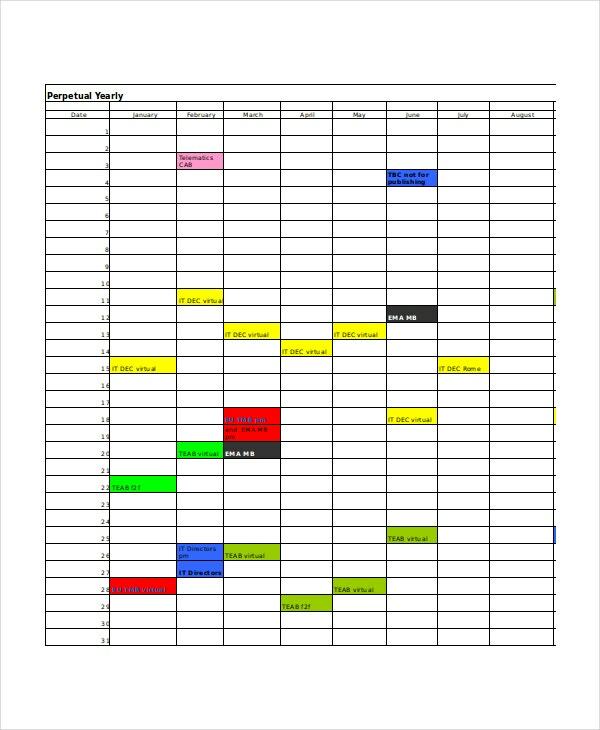 Calendar Templates can be created in Excel for perpetual use. 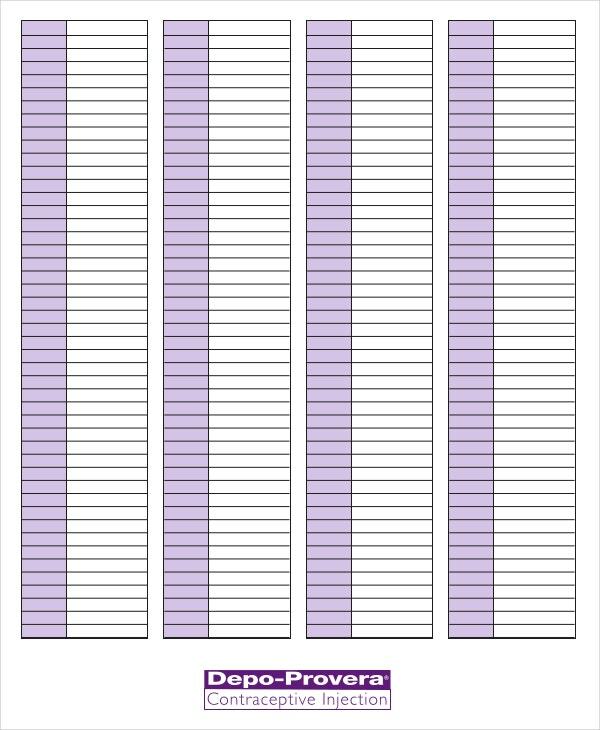 Excel Perpetual Calendar Templates can be created as monthly and yearly formats and can be used in a permanent manner. > What are the Uses of Perpetual Calendars? 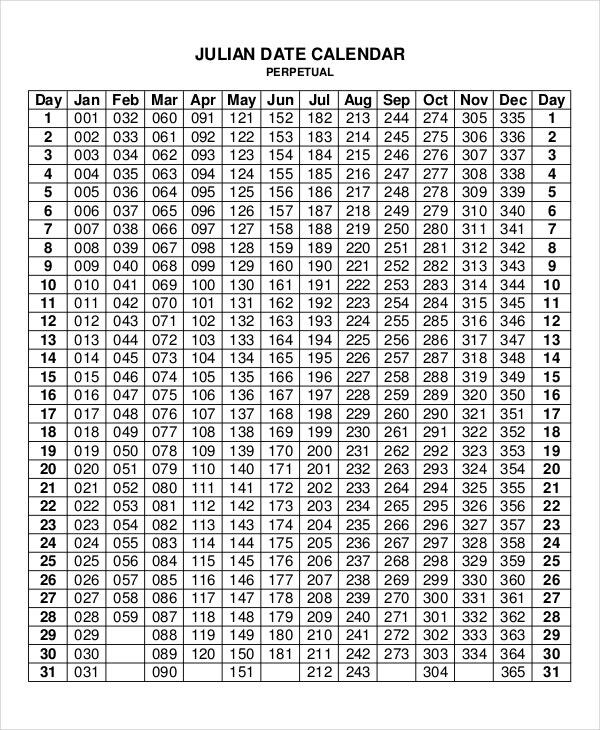 Perpetual Calendars help us look at any date with the related day of a particular year at a glance. The main advantage of using them is that yearly calendars can be avoided. 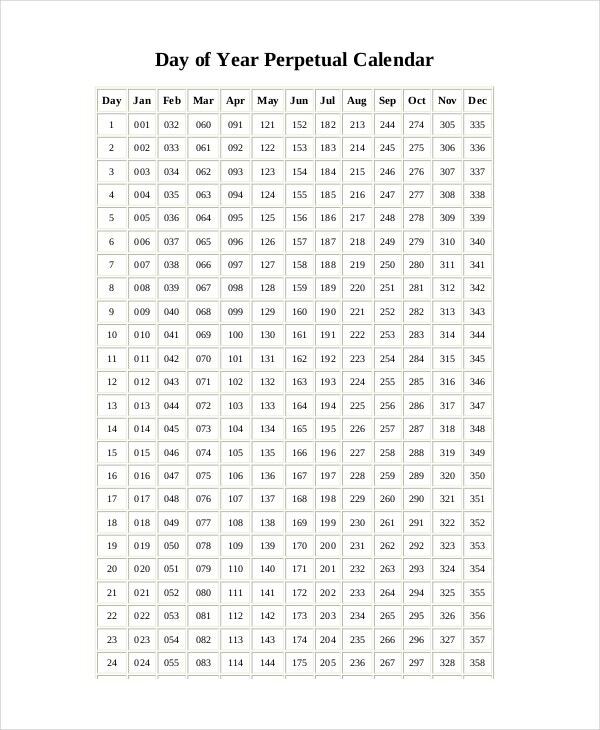 Instead of waiting for a yearly calendar to be printed after three years, we can easily know what day it will be for a particular date after many years. 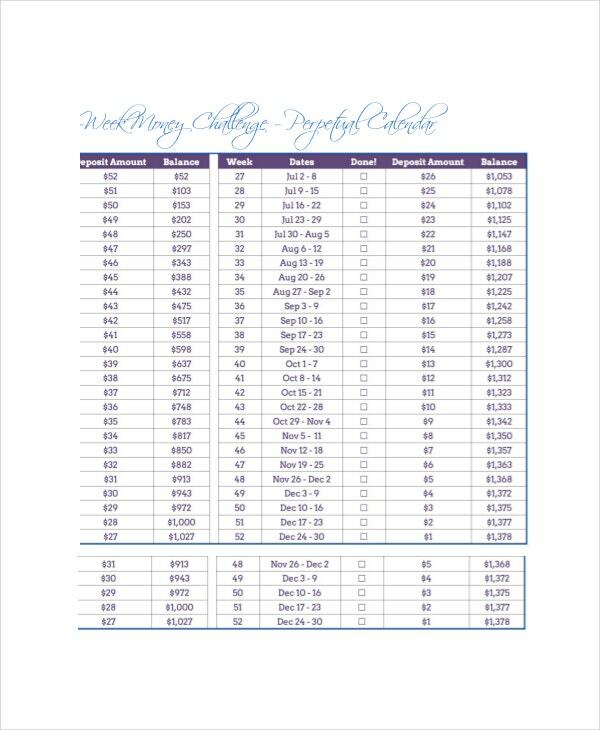 This is an amazing assistance the calendar provides since it offers the advantage of planning our schedules even for years that are yet to come in our life. This huge advantage provided by perpetual calendars makes them stand apart from the monthly calendars. Depo-Provera Perpetual Calendar is based on 3 months, 13-week dosing intervals that offer dosing intervals with the flexibility of dosing between the 11th week and 13th week. These can be used on a perpetual basis. These calendars are centered on Lucy’s brand and images that are associated with the famous brand. 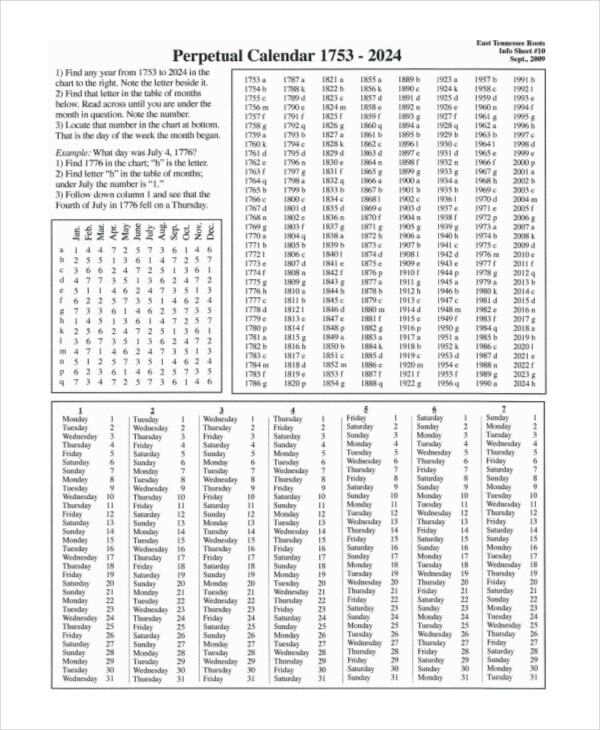 Fixed yearly perpetual calendar, as the very name suggests, is usable for many years. 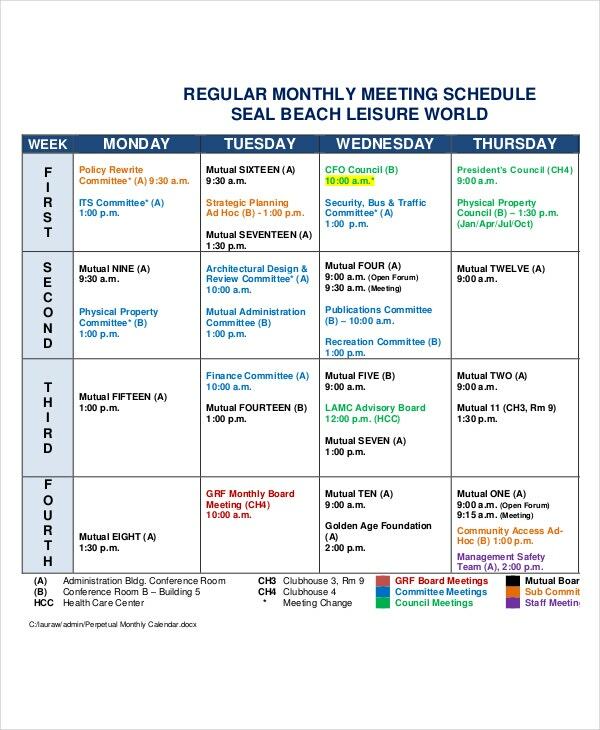 The days of weeks and related dates are put together to make them work for many years. > Who Benefits from the Perpetual Calendars? 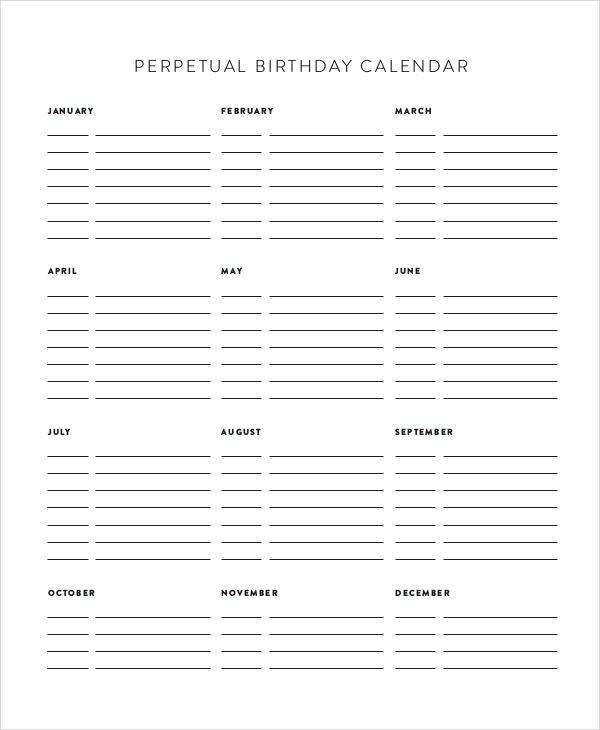 Perpetual Calendars are very useful for making huge plans that are spread over many years. They are highly useful for people who draw plans which may be personal or official and drawn over many years of time. Any plan irrespective of its nature, when drawn over long periods of time, needs meticulous planning and follow up in a proper and scheduled manner. Perpetual Calendars that provide data for many years, help people plan in a perfect manner with the confidence of executing them perfectly. This futuristic information is very helpful for all people across many areas- both personal and official. 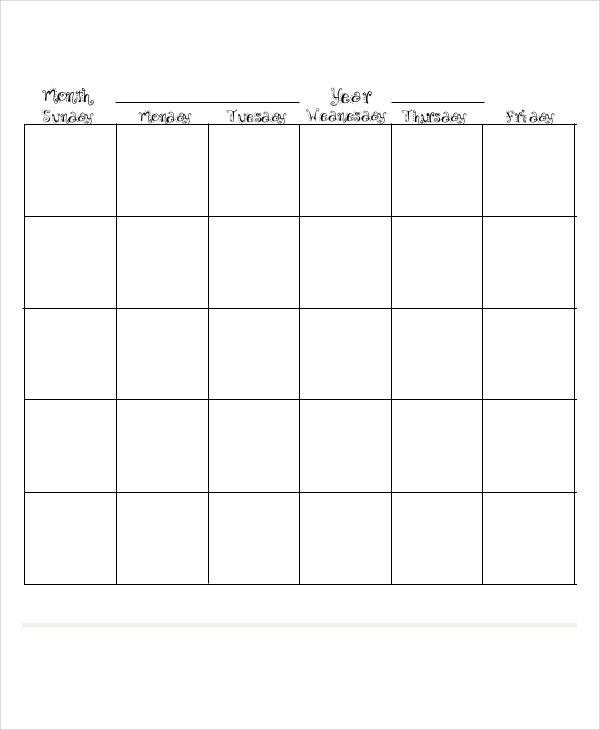 You can also see Printable Calendar Templates. When we shift from monthly calendars which provide only data pertaining to the month to perpetual yearly calendars which act as the basis for long-term planning, life becomes extremely easy and perfectly disciplined.